Chances are I’m hung-over. I’m assuming, because I’m writing this Saturday... I joined a gay kickball league in DC and our first game is this afternoon. But as with any sporting league, the main event isn’t the sport but rather the drinking after (or during). We had drinking yesterday after some practice. I’ll have to get a waffle and bacon at brunch and rally with a Mimosa so that I’m OK for the game later. 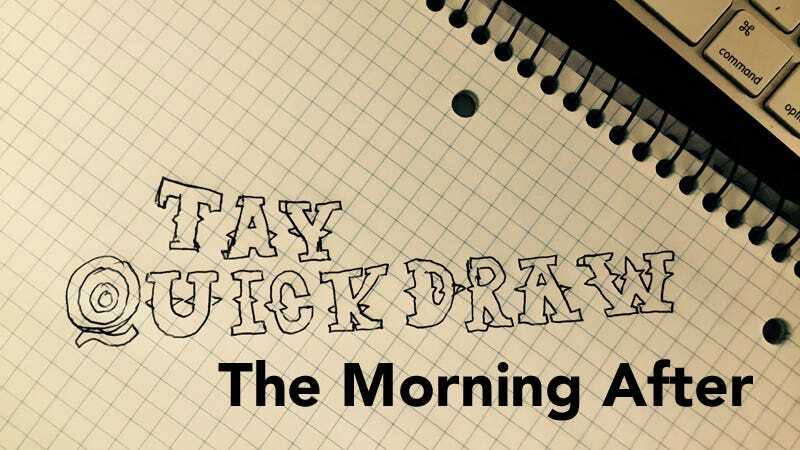 Here... how about everyone draw while I (assumedly) get some water and Tylenol... It’s Sunday September 20th and it’s time for this season’s third QuickDraw! As always, remember to work the whole page, tell a story, and as always trust your force, try out fun art styles, and head for the garden of madness! We had a lot of fun Gifs last week! Don’t be afraid of trying out different mediums! We’re keeping with last week’s standard of two themes. Choose one or both, whatever fits your fancy! After a night of partying hard (or hardly partying?) how does you’re favorite game character or world re-group? Brunch with the homeys? Asparin and a gallon of OJ? Or maybe re-up with a Mimosa or Bloody Mary? However they do it, show it off here! Sport(s)(?) season is upon us. Seeing as I’ve just joined this interesting little sports thing, I’m wondering how and where our favorite game characters would find themselves. Mario obviously has the monopoly on talent, seeing as he plays them all... but who might be give the plumber a run for their money? You have a single sheet of paper to draw a scene. Give yourself 20- 30 minutes of uninterrupted concept/drawing time. After the the time is up, put down your pencil/pen/stylus and upload your work in the comments. Be sure to comment on other’s works as well! We have plenty of talented TAY residents around here!